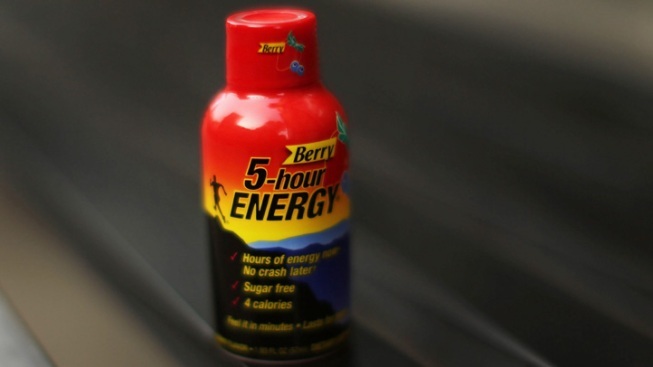 The FDA has received reports that cite illnesses after consumption of a product marketed as 5-Hour Energy. The federal government and the New York Attorney General's office have announced that they are investigating the popular energy drink after the Food and Drug Administration received claims that 5-Hour Energy has over the past four years led to 13 deaths and 33 hospitalizations. Federal health authorities are investigating reports of 13 deaths possibly linked to so-called energy shots and cautioning consumers to talk to their doctors before they take them or other energy drinks. The Food and Drug Administration has received 92 reports over four years that cite illnesses, hospitalizations and deaths after consumption of a product marketed as 5-Hour Energy. The FDA has also received reports that cited the highly caffeinated Monster Energy Drink in five deaths and one nonfatal heart attack. Agency officials said the reports to the FDA from consumers, doctors and others don't necessarily prove that the drinks caused the deaths or injuries but said they are investigating each one. In a statement, FDA officials said they will take action if they can link the deaths to consumption of the energy drink. Such action could include forcing the company to take the drinks off the market. They're often found at convenience store checkout counters. FDA spokeswoman Shelly Burgess said the agency is cautioning consumers that these "energy shots" or "energy drinks" are not alternatives to rest or sleep. "If someone is thinking about taking one of these products, they should consult with their health care provider to ensure that there are no underlying or undiagnosed medical conditions that could worsen as a result of using them," Burgess said. The agency doesn't individually regulate caffeinated drinks or supplements such as the energy shots but can take action if they are proven to do harm. Makers of caffeinated alcoholic drinks took those products off the market in 2010 after the FDA sent the companies warning letters saying that combinations of caffeine and alcohol in the drinks was a public health concern and could lead to alcohol poisoning, car accidents and assaults. 5-Hour Energy's small size can also be dangerous to consumers with underlying conditions because it's easier to take several of them or mix them with alcohol. Though it is liquid, the 5-Hour Energy "shot" is marketed not as a drink but as a dietary supplement. FDA regulations require supplement manufacturers themselves to be responsible for products' safety. A spokeswoman for the manufacturer, Michigan-based Living Essentials, LLC, says 5-Hour Energy is a "compact-sized energy shot intended for busy adults — it is not an energy drink, nor marketed as a beverage." Elaine Lutz said the company is not aware of any deaths proven to have been caused by their product. She said the company's website advises consumers to drink no more than two bottles of the shots per day, spaced several hours apart, and for new consumers to drink half a bottle to start. Democratic Sens. Richard Durbin of Illinois and Richard Blumenthal of Connecticut went to the Senate floor Thursday to complain about the lack of FDA oversight of energy drinks. "For God's sake, these are on sale to kids throughout America," Durbin said. The New York Times first reported that 13 deaths were linked to 5-Hour Energy.